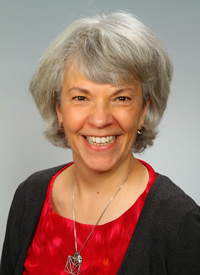 Anita Franzione has been in the field of health care for over 30 years working in all sectors of health care from ambulatory care settings to acute care hospitals, nonprofit agencies, long term care organizations, for-profit insurance companies, and quality improvement organizations and in different specialties, including mental health and HIV/ADIS services. She has a DrPH in public health policy and management from Columbia University, a MPA in health administration from New York University and a BA in biology from New York University. She has broad experience in public health, research, and policy. 2017: Boucher NA, Sautter J, Franzione A. “Palliative Care Knowledge and Attitudes of Multidisciplinary Health Profession Trainees (TH340B)” Journal of Pain and Symptom Management. 2017; 53(2), 334-335.